FREE Short Sale Help for Temecula & Murrieta homeowners. Never a fee to list and sell your home via the Short Sale Process. We are Certified to also help you with the HAFA Government Short Sale and all major lenders programs. A Short Sale, also called “Short Pay” is a process through which your lender agrees to settle your loan for less than what is owed to them. They do this as an alternative to the expensive and time consuming process of foreclosure. Each lender has their own process through which they decide whether or not to accept a short sale, and while there are many similarities, each has its own requirements for approval. As a third party mediator, and short sale specialist we have a distinct advantage in negotiating with your lender. Short Sales are a way for homeowners to avoid foreclosure on their homes and still be able to show the mortgage as paid on your credit report. If you have been denied a load mod,you qualify for a HAFA short sale. We are the best Temecula short sale agents.Certified to help you through the Bank of America,Chase,Wells Fargo short sale programs. Not Sure if You Qualify For a Short Sale? Been denied a loan modification. Having difficulty making your mortgage payments? 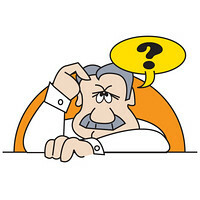 Do you want to postpone foreclosure and avoid deficiency judgments? Do you want to dispose of your debt and avoid future collections? Are your mortgage adjustments skyrocketing? Want to sell your house but there is not enough equity? Do you want a fresh start? A need to find a rental home? We are the Temecula Short Sale Experts with 18 yrs experience! Regardless of your circumstances, Realty Works Temecula has a powerful short sale solution available for you. With over 18 years of Temecula short sale experience, Realty Works has developed a far-reaching network of contacts that helps us get you a approved Short Sale. The strength of our experience, knowledge and relationships is invaluable. We help Temecula property owners avoid the lengthy and costly process of foreclosure and the stressful act of eviction that follows. Their is NO out of pocket costs to you. Protecting your credit from foreclosure. Presenting a solution to the lender and negotiating favorable terms. Minimize your home debt obligation to ZERO. Allowing the borrower and her/his family to get a fresh start. Expediting the process with a fast resolution. Your Temecula Short Sale Specialist. FREE short sale help,never a fee for our short sale service. Zero out of pocket cost to you. RENTAL HOMES available if needed. We are also a full property management real estate office. If you have been denied a loan mod, contact a short sale agent about the HAFA short sale program. With HAFA you can received $10,000.00 to cooperate with the short sale. 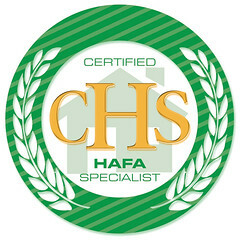 Realty Works Temecula has Certified HAFA Short Sale Specialists to help you. Our YouTube Page by, Sidney Kutchuk the broker at Realty Works Temecula. Temecula Short Sale Specialist.